LET US DO YOUR YARD WORK! Davis & Sons Lawn & Landscape is a trusted family owned company that is committed to taking care of your yard. From routine lawn maintenance to leaf cleanup and snow removal, anything your commercial or residential lawn needs, we can do it for you! We do it all! From lawn mowing to seasonal cleanup, pruning and planting. Your new beautiful garden awaits! Click the link below to learn more about all of our lawn and landscape services. As a family owned business we know and understand the community we serve. Call us today at (785) 845-2963 or send us a message with all your questions. We are happy to help! 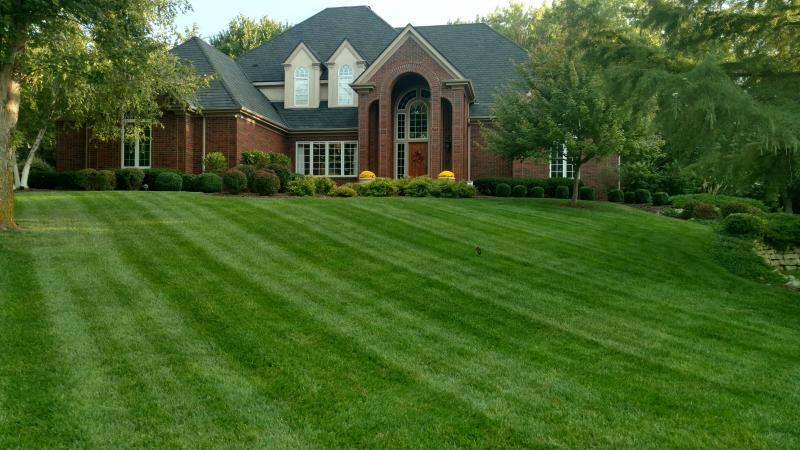 Let us know what you think of our lawn services and see what other people are saying about Davis & Sons Lawn & Landscape. We always love to hear from our wonderful customers! What is included in your lawn care services? How many times do I need to fertilize my lawn? We recommend you fertilize your lawn 5-6 times annually. This will ensure your lawn remains healthy. A proper diagnosis is important as there are many things that cause these brown spots. Call us today at (785) 845-2963 for a diagnosis.